We recently hosted our annual parent-student activity evening which is always so beautiful and moving. 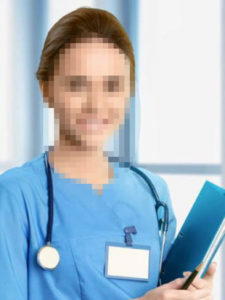 The intention of these events is to foster love and trust between parent and child, to share accomplishments and help define practical, shared goals for the future, and to inculcate the children with respect and appreciation for their parents, which will encourage and empower the parent to regain their role as parents. 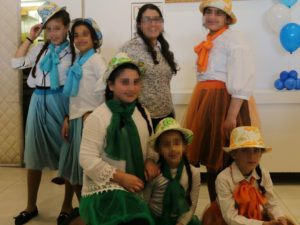 The evening opened with the girls performing a very lovely dance, prepared in our special Dance Therapy course. Of course, the mothers were so touched and proud of their daughter’s achievements. Then we did a very interesting activity in which each girl dressed up as what they’d like to be as adults, and each mother wrote her daughter a blessing encouraging her to make her dreams come true. A group of girls in the 11th grade also shared their talents, serving as an example for the younger girls. 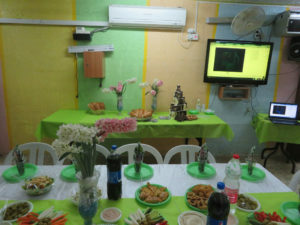 As part of the Video Editing class of Keren Hayeled’s vocational training program, they made an artistic presentation of all the pictures of the group’s activities this year. Note the video equipment and video screen toward the upper right. Then we held a very creative joint activity in which each mother and daughter received poster-board with a paper figure of a girl to decorate. The daughter decorated the figure according to how she envisions herself in the future when she grows up. And the mother also decorated the figure according to her hopes and aspirations for her daughter. Each mother and daughter wrote mutual notes of blessing and endearment. It was very beautiful and emotional. 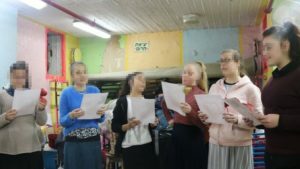 These are girls from troubled homes who struggle very hard with difficult issues involving their present reality, and yet they painted such beautiful pictures of hope for the future – expressing their dreams of having a family with many children, working in productive professions, being righteous and pious women, etc. We are honored that Keren Hayeled inspires them with such hope! The 9th grade group activity was also so moving. 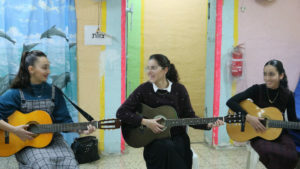 The girls who learn guitar and singing in our Music Therapy program played and sang lovely musical pieces which were enjoyed by all mothers and daughters. They too were inspired to see a presentation of their own group’s activities as prepared by the older girls in the Video Editing class. 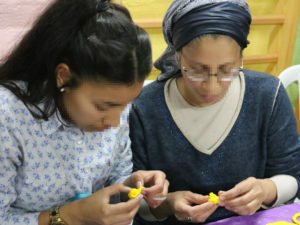 Then they did a group activity in which they created decorative key chains incorporating good wishes and blessings between each mother and daughter. 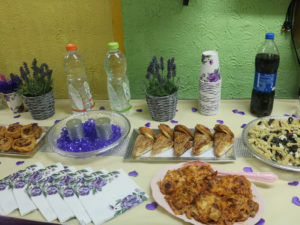 As for each parent-child evening, both the girls and the staff each invite the mothers to the special occasion with unique hand-designed invitations. 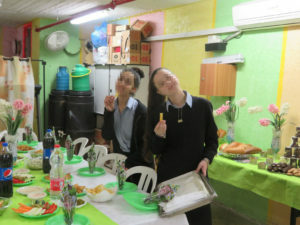 The girls prepare delicious food in cooperation with the staff in honor of their parent’s arrival. 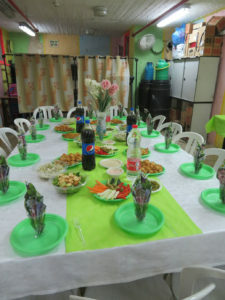 And the girls also make artistic room decorations and set a beautiful table in honor of the occasion. 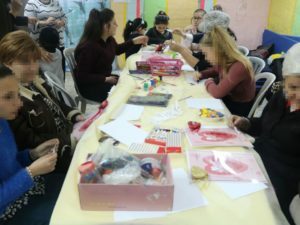 There is always a warm and loving atmosphere and much effort goes into showing personal attention to each mother in order to encourage them to participate, and to facilitate regaining their role as mothers. We have discovered over the years that despite all the difficulties and complexities in mother-daughter relationships in such circumstances, there is a love that is never damaged. This is very encouraging and heart-warming, and is the basis upon which we strive to restore healthy parent-child relations. For this reason, one of the most talked-about issues at Keren Hayeled is the issue of respect for parents. 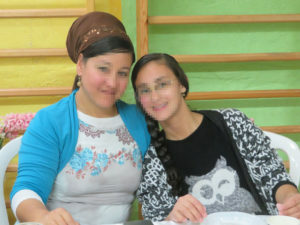 Every night before bedtime, one of the counselors teaches the girls the Torah laws of honoring parents. This routine has become a real reward for the girls. If they are not ready in time and miss this bedtime session, they are really let down and beg to make it up! 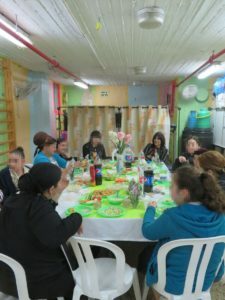 So it follows that the girls can’t wait for their mother to come to these evenings at Keren Hayeled. On the other hand, if a mother cannot attend for any reason, they are respectful and honor that. In fact, if a mother cannot attend, even if we offer to bring someone in her stead, the girls decline, in order to preserve their mother’s honor. Instead of being upset if her mother does not participate, the girls realize that it is not their role to educate or judge their mother. And they accept that each mother does as much as she can. 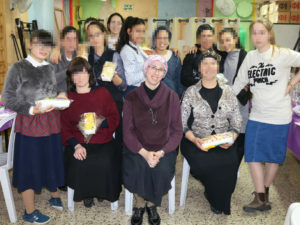 Girls Director Rebbetzin Leah Davidowitz with happy mothers and daughters. For the girls, no one can take the place of their mother. And for us, this is always so touching to hear, since it is our ultimate goal, as much as possible, to restore these children from such troubled homes back to what we hope will become loving and functional families. As always, we look forward to sharing future joyous occasions together – as one family – the family of Keren Hayeled!